In terms of big NFC late season match-up’s, the game in week 15 between the New York Giants and Atlanta Falcons has to rank as one of the biggest. These two teams are “fighting” for playoff positioning, but for one team it’s more about fighting to get into the playoffs, and for the other it’s about simply holding onto the number one seed in the NFC. The Falcons, who are home in this game, are 11-2 currently, but are coming off of a tough road loss against the Carolina Panthers in which they didn’t look as strong as many people think that they are. The Giants on the other hand are 8-5 currently, won a nice one at home against the New Orleans Saints, and are being chased closely by the Washington Redskins and Dallas Cowboys for the NFC East lead, as both teams are 7-6. Kickoff for this game is at 1:00pm EST. Read to bet on the Falcons or Giants? Bet now at this sportsbook. Can Giants Rally Down the Stretch Again? The Giants won a very important game last week, but they are going to have their work cut out for them as both the Redskins and Cowboys have been playing good football lately. Eli Manning is known for being a great closer in the month of December, and they are going to need his A game this season. Last week, the G-Men got a nice spark from rookie running back David Wilson, who really hadn’t been used much up to this point, and I expect them to continue to work him and Ahmad Bradshaw to open things up for Manning in the passing game. There’s one thing that we’ve definitely learned about the Giants, and that is that Manning could struggle if he’s forced to air it out without a strong running game. The Falcons on the other side can’t be happy about their showing against the Carolina Panthers last week, but this team is known to bounce back. An 11-2 record is no joke in the NFL, and Matt Ryan has done a great job of leading this offense with Julio Jones and Roddy White to such a strong record. This game will be big for the Falcons though, as they are going to be up against what is likely to be a playoff team on their home field. It’s what we like to call a statement game for the Falcons, and is one that the fans and the team would really love to take down. Find the best odds and bonuses at this online sportsbook. The Falcons come into this game as small -1 point favorites over the Giants. Tough, tough game here. Both of these teams are really in situations where they want to take this one down, and while Eli is a scary quarterback in December, I really like the fact that the Falcons are at home, coming off of a loss, and looking to prove something. 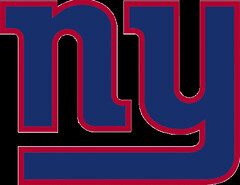 I think that they will make a statement against the Giants on Sunday and pull out a nice win by a touchdown. With that being said, since the line is only at -1, I’ll be betting on the Falcons to get the win, and obviously to get the cover on the -1.